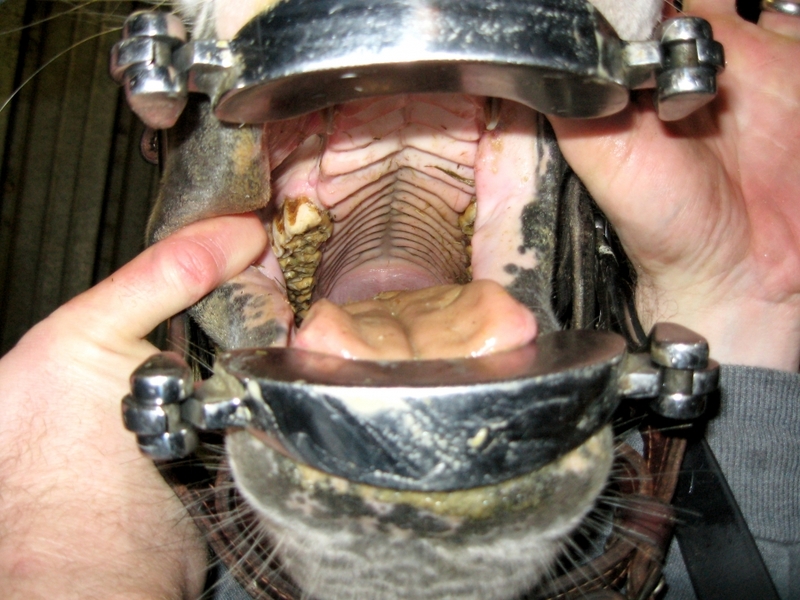 Why is Regular Equine Dentistry So Critical to Your Horse’s Health? One of the more common questions we answer here at Mobile Vet, particularly during this time of year, is “Does my horse need a float?” Most of you have probably at least heard of this procedure, but for any novice horse owners out there, a ‘float’ is the process of filing the sharp enamel points off of your horses’ teeth. The proper term for this procedure is ‘dental equilibration’, but because historically this process was performed by farriers with the same rasps (or ‘floats’) that they used on horse feet, ‘floating’ teeth became the more commonly used slang. You can imagine that this was a difficult process, for both the farrier AND the horse, and often times lead to a tired farrier and a bloody horse. Equine dentistry has come a long way since the days of farriers using foot rasps in the mouth. Nowadays, we understand how important it is for horses to have regular dental exams, and dental equilibrations in horses can extend far beyond just helping them to chew their food. Performing a dental exam on the horse requires that the horse be properly sedated, safely restrained, and a full mouth speculum be placed in their mouth to keep it open. This is safer and less stressful for both the horse AND the vet, and enables us to fully examine all areas of the equine mouth with a bright light, ensuring that we catch small problems BEFORE they become much bigger health issues. Following a thorough exam, dental equilibration is performed to remove any sharp enamel points that may be causing painful ulceration in your horses’ mouth. Equilibration also serves to correct any abnormalities in your horses’ bite and conformation that could be causing uneven wear or painful dental conditions such as fractured teeth. This procedure is usually performed once a year in younger horses, and at least once every two years in senior horses. One of the biggest benefits to regular equine dental care is having a healthy horse with a comfortable mouth for chewing food. This enables proper digestion, less feed waste, and helps keep weight on horses more easily – particularly ‘hard keepers’ that tend to lose weight easily. Regular dental care is also critical to wearing tack comfortably, and helping horses perform at their peak ability. By avoiding painful conditions in the mouth, your horse is able to focus on their training and job, instead of compensating for mouth soreness, tooth pain, and other dental conditions. This compensation can even, over time, cause your horse to carry himself in a way that can influence lameness and soreness issues as he tries to avoid the pain. These benefits make spring a particularly good time to have a dental exam performed on your horse, so you can go into show and riding season with a comfortable, healthy horse capable of performing at the top of his or her game. 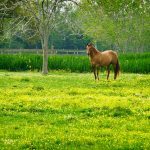 I remember one horse in our practice that received regular dental care throughout her life – every year until she was around 16 years old, and then every 2 years until she passed away at 32 years old. I was lucky enough to work on this mare’s mouth in her later years and see the actual benefits of regular dental checkups. She still had a full set of cheek teeth (pre-molars and molars used to chew food) and incisors and had none of the abnormal “wave mouth” features common in senior horses her age. She was on a regular diet and kept her weight up until the very end of her life. 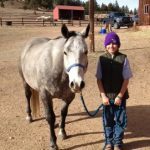 Arthritis and lameness were what finally led her owner to decide that the time was right for euthanasia in this horse, NOT colic or loss of weight like many horses over the age of 30 years. Continued experiences like this one in older horses that have received proper dental care reinforce the benefits of regular dental care to clients around our practice. Make sure to ask us about whether or not YOUR horse needs a dental exam or even a “float” this spring when you schedule your appointment for spring shots.